Someone you can count on? 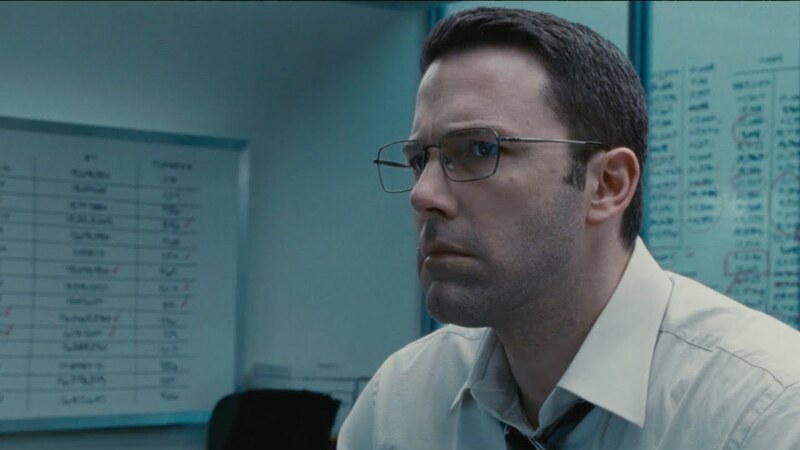 Christian Wolff (Ben Affleck) is a math whiz, with high-functioning autisim, who works as an accountant. Behind the scenes, he cooks the books for criminal organisations, while containing a number of deadly skills. As a division of the Treasury Department, led by Ray King (J.K. Simmons), closes in on Christian, he takes on a legitimate business client. A state of the art robotics company had a discrepancy uncovered by accounting clerk Dana Cummings (Anna Kendrick), but as Christian gets closer to the truth, danger closes in for him and Dana. In the lead role, Ben Affleck does a wonderful job. His subtle and sympathetic portrayal is impressive, proving compelling in its own right. Anna Kendrick is effortlessly charming in her performance, if not a little under utilised. Jon Bernthal does well in his role, which invokes memories of his turn as Frank Castle in Daredevil. The usefulness of his character extends outside of the hired thug trope, but only for the basis of an obvious turn in the story. J.K Simmons is under utilised, merely there to deliver exposition and to converse with Cynthia Addai-Robinson. The action scenes are well handled and choreographed, but these action scenes feel forced into the story. One gets the feeling the story would work better without their forced inclusion. Not helping matters is how they feel like a Bourne rip-off, right down to the "using ordinary items as a weapon" motif. If anything, the film's at its best during the quieter moments. A scene set in a hotel room, where Christian gets to know Dana better, highlights the wonderful chemistry between the two. It's also a great opportunity for Affleck and Kendrick to show off their acting prowess, which they both deliver with ease. Throughout the proceedings, flashbacks are often employed to show the life Christian Wolff had, from his childhood, where his father attempted to prepare him for the real world, to a stint in prison, as underwritten as his friendship with Jeffrey Tambor's character. These scenes can be illuminating and intriguing, bringing to mind a grounded origin reminiscent of superhero stories. Unfortunately, the crammed nature of the third act leaves it feeling very messy, as the forced action takes a turn into syrupy attempts at emotion. What works better is the epilogue, which ends things on a much quieter and more effective note. 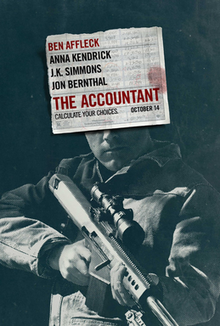 As it stands, The Accountant is a decent picture to show off the casts acting talents, that's knowingly fun while carrying an engaging story. It's the needless action beats which let things down, but the exposition doesn't help. It's as though Gavin O'Connor was frightened of letting the film get too quiet and talkative.